Thank you for participating in our free promotional offer through DraftKings! If you received a confirmation email from us, you are on the guest list!! We will have a check-in table set up by 4:00pm inside Brother Jimmy's BBQ on September 19th. Bring your photo ID to receive your tickets. You may add additional autographs for $39, inscriptions for $10 and reserve any items you might need for the signing. Of course, you may bring your own items as well to be autographed! Questions: Please call us at 763-233-6724 or send us an email. 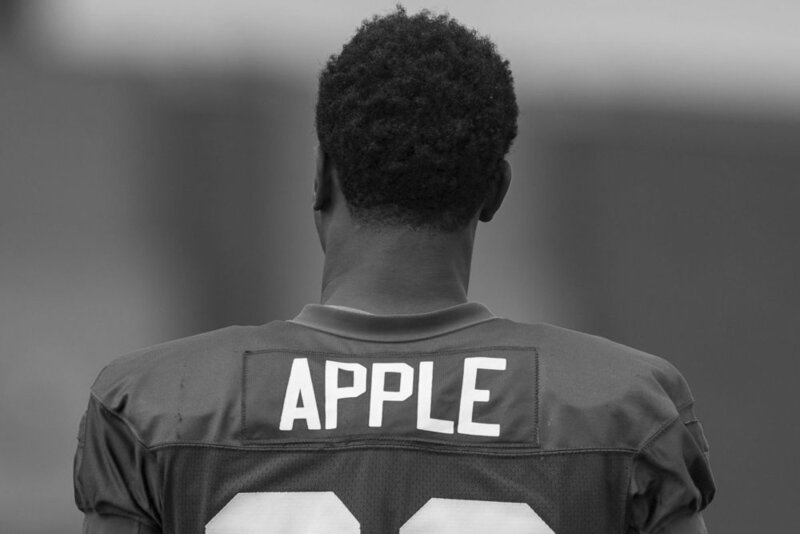 See Full ELI APPLE Event Page!! ADD ADDITIONAL TICKETS, A POSED PHOTO WITH ELI OR RESERVE AN ITEM TO BE AUTOGRAPHED BELOW! Additional general admission tickets are limited and could sell out prior to the event date. Any new user who create a DraftKings account and deposits a minimum of $5 will receive a FREE AUTOGRAPH TICKET to the autograph signing meet & greet event for that specific player. Each event we will release a promotional link. YOU MUST CLICK THAT SPECIFIC LINK to be tied to the specific player, state and event! Once you create your new account, you will receive your ticket confirmation from CRAVE THE AUTO within 24-48 hours of your deposit. These events are exclusive meet & greet events with athletes in different states & leagues. If you wish to redeem an autograph ticket in your area, you will need to wait to create your DraftKings account when we release the different players in our series of signings so you are still considered a new user. The FREE ticket promotion will only apply to new users only. Current DraftKings users will also have the opportunity to attend the exclusive event. A limited amount of extra autograph tickets will be released per event. New users who qualify for this promotion will also be able to add-on additional autographs from the specific event page. You will be able to reserve items to be autographed at each of the events or you may bring your own item(s). Terms may vary with each specific event, see each of those event pages for details and terms on that autograph signing. GET OUR CRAVE THE AUTO APP!